Here at the Farm our hedgerows are laden with elderflower at this time of year. 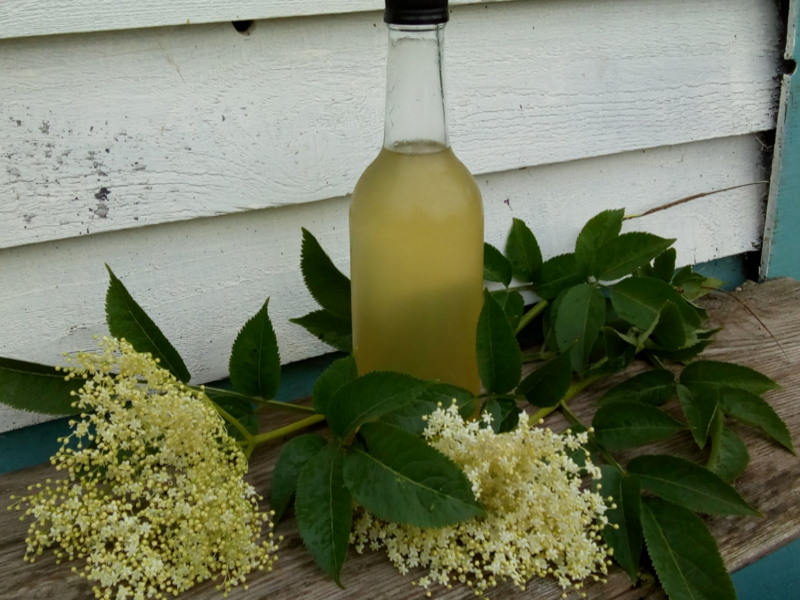 We’ve been busy picking some of the flowers to turn into Elderflower cordial which you can buy by the glass from our Café Kiosk or you may buy a bottle to take home. There are lots of recipes online for you to have a go – here’s one we found earlier. . . Pick the best looking elderflowers in the morning on a nice dry day – they don’t like being wet when picked. With 25 – 30 large flowers – check them over for damage and remove insects. Remove any thick stems and leaves and put the flowers into a large pan or bowl. Add 25g of citric acid and sprinkle 1 kg of sugar on the top. Add the peel of an unwaxed lemon and the juice of one lemon. Stir, cover with a tea towel and leave to cool and steep overnight for 24 hours, stirring occasionally. Strain the syrup through a clean muslin into a clean bowl. Decant into super clean, sterilised bottles with lids. This recipe should make 2 x 500ml bottles. Dilute to taste for a delicious summer drink.